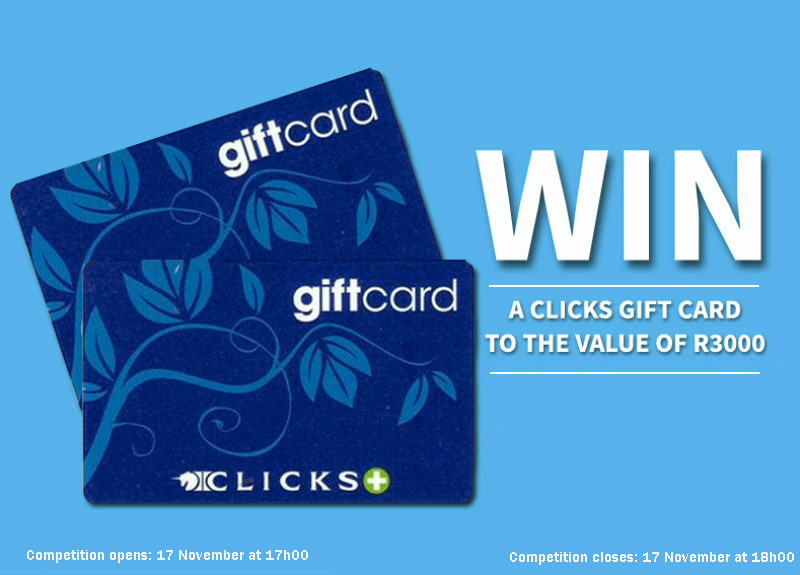 Stand a chance to win a Clicks gift card to the value of R3000! 2.1. Entries for the Competition will open at 17h00 on Thursday, 17 November 2016 and will close at 18h00 on Thursday, 17 November 2016 (Competition Period). 6.1. The Winner will receive a Clicks Gift Card (Gift Card) to the value of R 3 000.00 only (three thousand rand) (Prize).